As you get older, your skin loses elasticity. It starts to crease and wrinkle, and a lack of collagen means that it can get dry and sore much more easily. While there are a million products on the market, all promising softer and more youthful skin, many of these are ridiculously expensive, introduce a variety of chemicals into your body, and have limited results. 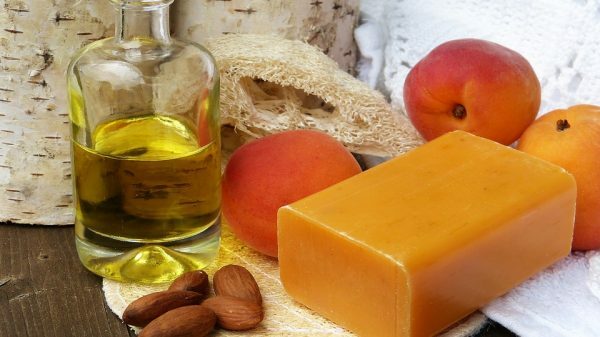 A better way to take care of your skin is to find natural products and solutions. While they may not offer the miracle cure you’ve dreamed of, they will help your skin stay soft, bright and healthy. Here’s a look at the ideal, natural skincare routine. When it comes to fresh air and natural light, there can be a fine line between what’s good for your skin and will boost your vitamin D levels, and what’s too much and could lead to sunburn, damage and chapped skin. The best way to protect yourself is with sunscreen. Even when it isn’t hot, the sun’s UV rays can be harmful. So, make sure you are spending some time outside, but protect yourself when you do. Exercise is good for you. This is no longer news. It helps your body to function better, and that includes your skin. Exercise is an excellent way to boost your circulation. This can improve the appearance of stretch marks, soothe varicose veins and give your skin a healthy glow. Even a brisk walk can have a great effect. Just don’t forget that SPF. Essential oils, such as doTERRA products can help your skin in a variety of ways. They can soothe, moisturize, cleanse, tighten and even heal. Pop a few drops of coconut, sweet almond, rosehip or argon doTERRA oils in your bath or mix with your moisturizer for the best results. One of the best things that you can do for your skin, at any age, is to simply clean it. Wash with a gentle facial cleanser every morning and night to keep your skin free from grease, dirt, and impurities. Massaging your skin is a great way to boost your circulation, improving elasticity and giving you a youthful glow and an even skin tone. You could rub your body with a body brush, which would both boost your circulation and remove any dead skin cells. Then, gently moisturize and massage your face before applying any other products. Like exercise, water is a bit of a miracle cure. Not drinking enough can easily lead to dehydration, making your skin look grey, tired and saggy. To keep it tight and rosy, limit your alcohol and caffeine intake and drink eight glasses of water every day. Your diet can also have a huge effect on your skin tone. Greasy and fatty food can lead to spot outbreaks and oily skin. Instead, try to eat a diet rich in antioxidants, which help your body fight the signs of aging. Some great foods high in antioxidants include blueberries, raspberries, grapes, seeds, spinach, and nuts. There are an awful lot of things to worry about as you age. Don’t let your skin be one of them.